A report on Hope Martin’s recent teaching at Gampo Abbey. Hope is leading a Shape of Awake weekthun in Atlanta March 22 – 28th. During this year’s Yarne retreat, Hope Martin, a Master Teacher of the Alexander Technique, was invited by Ani Pema Chödrön to work with the community to help improve our meditation posture. Alexander, an actor with voice problems, developed his work in the late 1800’s. By studying himself in three-way mirrors, he noticed that he unconsciously interfered with the natural expansive organization of his system, and developed a process through which efficient functioning could be restored. The method brings awareness to postural and movement patterns, focusing on the relationship of the head, neck, and spine to the rest of the body. Similar to working with our mind in meditation, this approach is an active exploration of how we show up in our body. During silent week, Hope did hands-on work in the shrine room twice a day, quietly tweaking our position on the cushion to help us find more ease, mobility, breath and grounding. Habits that block those qualities also became apparent, making for a rich examination of how our bodily habits influence our meditation practice and our lives. Experiencing Hope’s gentle adjustments, a contrast develops between our usual way of living in our bodies, and a lighter, more supported, energetic place. Invariably we slip back to our habits but her touch teaches us how to move out of them again. In this way, we gain insight into the quality of our responses that are held in our “posture”, and how we physically display our whole world and state of mind. After silent week, Hope conducted group classes twice a week, exploring the application of the Alexander Technique to sitting meditation and other activities such as walking, bending, and even running. After experiencing the hands-on work, we were invited to think of awareness as a form of touch. For those of us who slump, more support is needed and accompanying tightness can be a necessary part of the process until we get used to the musculature working efficiently. Hope encouraged us to be gentle with the process. She taught a lying down practice called Constructive Rest to help us let go and allow the floor to support us. Hope will be returning to Atlanta March 22-28 to lead her sixth annual weekthun there called the Shape of Awake. All are welcome to attend this unique and beneficial program. Emma Cataford grew up in Italy and studied Journalism in London, UK. She has been in Shambhala for about three years, is a bartender by trade, and loves dogs and diving. 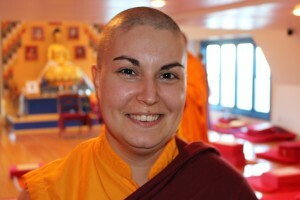 She is currently residing at Gampo Abbey for a year of monastic training. 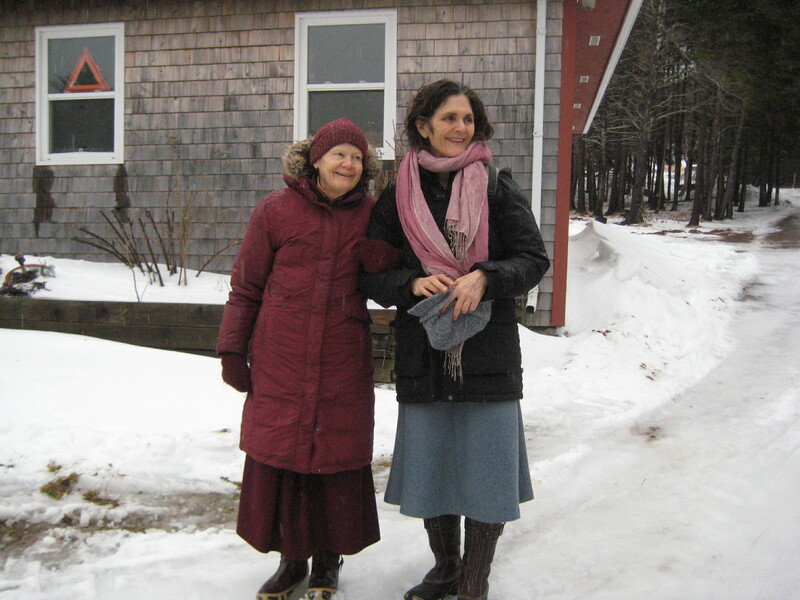 Two summers ago, Hope did a workshop at Windhorse Farm with David Rome, who taught Focusing. It was totally wonderful. I don’t think I need to add to the many helpful comments left by the Abbey residents. My simple comment is that Hope’s energy and warmth are wonderful in themselves, in addition to what she teaches. It was only a short program at Windhorse, but I felt very inspired by her work and very uplifted by her warmth and kindness. 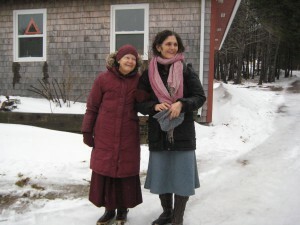 I still am reaping the benefits of the wonderful work you id helping me to sit in a supportive realxxed way, at my dathun at Karme Choling a few years ago — thanks Hope! I staffed a dathun with Hope where she taught Alexander Technique to the participants. It really opened my mind towards posture, and how subtle the connection between mind and body is. It was like working on my mind through my body. I’ve also done a Focusing workshop with her and David Rome, further entrenching my experience of mind-body inseparability. Hope is a great teacher! Find a way to study with her! I have been a student of Hope’s. She is a gifted instructor. Clear, present and patient. Hope’s mastery of the Alexander Technique enables her to convey the method in a very clear and susinct way that is easy to grasp. Working with her has lead me to understand the structural support system inherent in the body, and to trust it completely. She has also helped me to become aware of the myriad ways that we interfere with our body’s nature upright posture. For me, it has been nothing short of transformational, both on and off the cushion. The combination of Alexander Technique and Shambhala meditation as taught by Hope Martin is so brilliant. Each practice informs the other to make such a beautifully transformative experience. If you get a chance to attend the Atlanta Shape of Awake weekthun—GO! I’m a several-time student of Hope’s Alexander Technique class out of her studio in Union Square, NYC. I can’t say enough about what a great teacher Hope is and how much her instruction helped me learn to recognize where I was holding tension in my body and how to naturally “stack my spine” in order to find a much more natural posture. If you live in NYC (especially if you sit at a desk all day), don’t hesitate to check out her class. I took a workshop with Hope and David Rome a few years ago, and I found it did wonders for my attitude toward sitting practice. I no longer felt like I had to brace myself in the “correct” position, but could work with my body as it is and shift into a more natural-feeling posture. Rather than spending a sitting session trying to maintain posture and being distracted by resulting discomfort, I felt that my mind had been freed to return to the practice technique at hand, while remaining lightly conscious of my body’s positioning. I have not had the opportunity to take a class with Hope Martin since, but I highly recommend doing so if an opportunity arises for you. This article gives an excellent overview of Hope Martin’s extraordinary body awareness work. I have had the privilege of co-teaching Embodied Listening with Hope for many years and I continue to be amazed by how meaningful and transformative participants find the guidance they get from “Hope’s hands.” Each time we teach together I get a refresher course myself and appreciate anew the flexibility and letting go of strain — in mind as well as body — that it brings. And these benefits are sustainable on one’s own, even without Hope’s touch, as we become aware of habitual patterns that were invisible to us before and learn to allow our bodies to find their natural, easeful condition. I encourage everyone — and meditators in particular — to find an opportunity to experience Hope’s life-changing instruction. I’ve spent many years attending the weekthun in Atlanta with Hope. It’s a wonderful and different experience each time. Hope embodies the teachings and inspires her students with her expertise, authentic humor and generosity. The time I spend practicing with her reminds me that how I hold myself in the present moment, is actually an accumulation of a lifetime of responses to my own life and to the world. Unwinding and unbinding myself during this week transforms me, and allows me to have a genuine and warm-hearted approach to my practice and “allowing” myself to “just be.” It’s amazing to learn about one’s self through this practice of connecting mind and body. It not only deepens any level of meditation practice, but is a deeply moving and meaningful act of kindness to self and to world. I see Hope regularly for Alexander Technique work, and it’s fabulous — I always come away about 2 inches taller! When she’s adjusting me during sitting, it’s super helpful with being able to stay present and not drift off. I totally recommend attending any program Hope does. 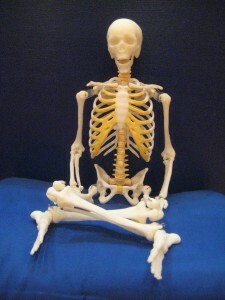 Thanks to Hope, my posture and posture awareness have changed for the better. Particularly sitting meditation posture, though good posture and awareness extend out from there into the rest of my life. At the Atlanta Weekthun (2015) with Hope’s Alexander Technique guidance, I discovered that a good upright sitting posture could be a delight, rather than a chore. I had spent 5 years shoving my shoulders back and trying to look like a cadet when I meditated. No wonder my back was screaming at me. Hope taught all of us a relaxed upright posture. With her help, I felt my neck floating into position and my head balancing easily. By the end of the week, my back muscles had unclamped, and I could be embodied in my meditation practice in a meaningful way. I felt myself lightening, and opening up to my practice. I saw that Hope was an exceptional teacher indeed: intelligent, serious while being good-humored, experienced, thoughtful, and compassionate with every student. I just had the joy of working with Hope at her yearly “Shape of Awake” Weekthun in Atlanta. As a regular student of hers in New York, I was already familiar with some of the reality-shifting possibilities of the Alexander Technique and her gentle way of coaxing the body back into its natural ease and uprightness. But working with her for an entire week actually opened up entire vistas of experience that I did not expect. The consistent and uncontrived encouragement to relax — through her words and her touch — created an atmosphere in which I actually stopped believing one of my most deeply-held core beliefs: that my nervous system was not designed to settle down and relax. By the end of the week I was actually experiencing my nervous system in a different way and felt, overall, less victim to my patterns of contraction. After all, they are just patterns. Thank you, Hope, for a creating a practice environment in which many of us (I include myself) felt safe enough to settle and trust our bodies for the first time. I have nothing to add to the extensive descriptions above except to also express my appreciation to Hope. Even though the goal is to get beyond Hope, I am addicted to trying to see her every time I’m in NYC. Beats massage plus alcohol combined. This was my second time attending Shape of Awake in Atlanta. Hope’s mastery of the Alexander technique and her skill in conveying it, both intellectually and physically, are truly wonderful. It really is a great way to deepen your own practice and connect with your body. It’s a very unique approach and one that I highly recommend. Due to a last minute family emergency I had to miss Hope’s Atlanta retreat. That was a crushing disappointment because she has helped my body so much over the last two retreats. She is a healer of mind, body AND spirit and I look forward to sharing her positive energy next year. Thanks Hope for everything you do for us. I took Hope’s mini shape of awake workshop this weekend, and very grateful for her kind presence. Besides the usual life tension, I have been suffering with trauma from a car accident. When you have a problem, people like to come up with quick solutions that waste time and don’t work. Instead, Hope offers space. Space to understand and heal your own tension. And some really great adjustments too, of course. I attended the Shape of Awake weekthun in Atlanta in 2014. Since then, I think about and try to practice what Hope taught us nearly everyday and I SO want to learn more. Hope’s teachings have opened me up to this mind-body connection. And while I have understood this idea in theory, the practice is where it all happens. I’m so grateful for Hope and her work! I hope it continues to expand and reach more people! This is good work for us all. I attended Hope’s one day workshop in New York and I was amazed to discover how connected I can be with my body. Hope is magnificent in her work and I appreciate her teaching which not only applies to posture but also practice and everyday life. Hope is a rare example of a “real” teacher who has mastery over the full breathe of form and content involving the Alexander Technique. Her ability to communicate subtle, yet profound, shifts through a focused study using careful words, feedback, demonstration, and magical “hands-on” adjusting are remarkable. I learned a great deal from working with her and I’m grateful for her commitment. I took Hope Martin’s workshop yesterday at the Zen Temple of New York yesterday. She is utterly phenomenal . She helped me understand how my rigid way of setting was interfering with my ability to sit zazen. I will always be grateful to her. honoring where you are rather than tensing into something your not. Seeing how I tense up as soon as I begin Zazen was a huge lesson for me as well as Hope’s hands on way of assisting in unraveling those tense patterns. I am grateful to have had the experience of this workshop and will explore ways to work with Hope again. In gratitude. I took Hope Martin’s “Downright-Upright” training in Atlanta this spring and it was really helpful. Although the class was only one day, Hope was able to work with everyone in the class. Her advice to me was very helpful for sitting but also for posture-structure in other activities. I would strongly suggest that anyone with posture or sitting problems consider this or one of Hope’s other courses. I just finished my second Shape of Awake weekthun with hope in Atlanta. I came back for a second time because the first was so incredible. This time was even more so. Integrating the work I already do in releasing obstructions of mind with Hope’s teaching on releasing obstructions of body has already benefited immeasurably, not just during sitting practice but when I walk, eat, rest, play … Everything, my entire life. I am lighter, more energetic (as long as I remember to note when I fall into those habitual patterns and allow myself to gently move out of them!) and that is the key – gentleness. Now when I hear “sit up straight” I don’t automatically think “head up chest out gut in.” Instead, I let my head and neck be free … Thank you, Hope. Next year, in Atlanta! I was at Fire Lotus Temple on April 11 for Hope Martin’s “The Shape of Awake” workshop. I have practice the Constructive Rest technique for TWO days and I have notice a decrease of pain in my middle back already!!! !